The annual Louvre Autumn Sailing Series, organised by the Guernsey Yacht Club, has returned for its 13th year. Five classes of yachts and dinghies are taking in the handicapped race challenge, accruing points over several weekends throughout September and October. The series will culminate in all classes racing together later this month followed by a prize-giving event. Long-term sponsorship from Louvre Group has made this series possible for over a decade, and the Guernsey Yacht Club is pleased to see some new names amongst the list of entrants. This year’s series has got off to a great start with two out of the three races taking place. The third race welcomed intermittent sunshine and a cool northerly force three to four wind, a contrast to the week before. The new entries to the fleet this year include Majic a JPK 10.80 (Holland), imported from the UK earlier this year; hopefully, she will reach her full potential racing in local waters this season. Sun of a Gun (Lloyd/Holmes/Hughes) a Sunfast 3600, has also made her debut and shown great promise in the longer races but has yet to find her form on the shorter courses featured in the Louvre Autumn Series. Starting at 10:00 am the international rating certificate (IRC) Class I vessels were tightly grouped as the six of them beat towards the Refee buoy off the entrance to QE2 marina; spinnakers set they then headed out for Aiguillon buoy south of Jethou. The fleet was led by White Rabbit and Kaya who were neck and neck, Blackjack and Majic followed hot on their heels while Fidelite and Sun of a Gun trailed behind after an unfortunate incident with a cargo ship lost them a lot of time. 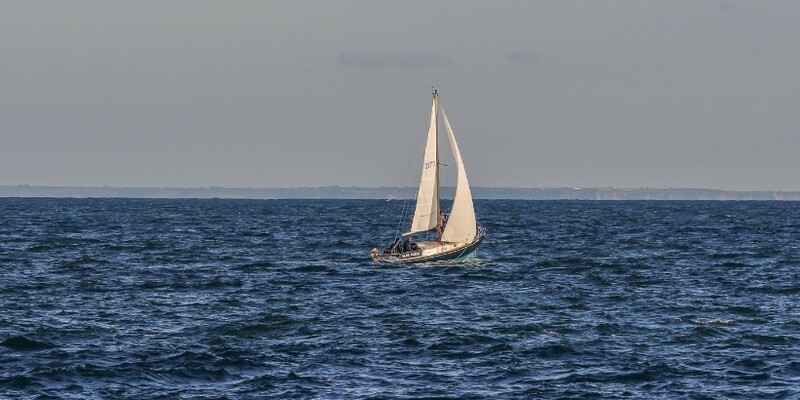 The wind shifted direction from when the course was set meaning legs which should have proven to be a beat were generally fetched in one tack, hampering any opportunity for overtaking. In the end, it was White Rabbit who took the win from Fidelite. In IRC Class II the four boats that raced also enjoyed the moderate conditions and it was Mustardmitt, helmed by Jim Nicolle that triumphed giving him and John Falla on Banjaard one win each this series. ‘So far we have seen far better weather conditions this year, following the dismal conditions of 2017. The series has got off to an exciting start, and it is great to see many new entries taking part this year, which is making for some interesting races,’ says Simon Hughes, a member of the Guernsey Yacht Club Sailing Committee.